Chrichton's World: Review Killer's Romance a.k.a. Long man sha shou tze yo ren (1990): God warned me! 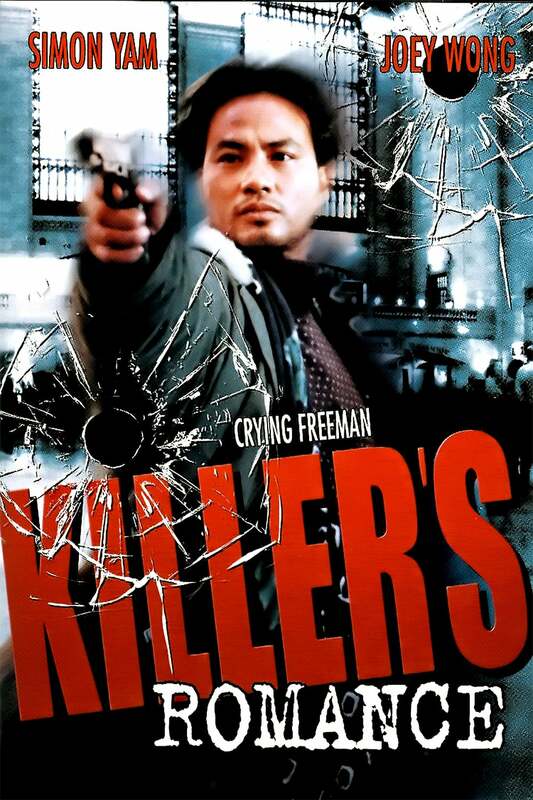 Review Killer's Romance a.k.a. Long man sha shou tze yo ren (1990): God warned me! Killer's Romance is one of those titles that popped up once I ventured deep into the genre that is heroic bloodshed. At that time I loved every second of it. Although I do remember being heavily inebriated during my viewing sessions. Turns out I had a very good reason to be. Even God was trying to warn me! How? Well, I happen to come across the title on Amazon and felt compelled to purchase it. I did, and for some unknown reason the vendor couldn't deliver the title since it was out of stock. Weeks later I saw it on Amazon again and this time the price had increased and it was very much in stock. So I didn't hesitate and purchased it a second time. This time it was delivered and I was very eager to watch it. I opened up the DVD case and tried to remove the disc. It didn't come out as easy and to my shock and horror I managed to break the disc. I never ever in my life have broken a disc. And I have been on this planet for quite a few years. I was beginning to think I wasn't meant to watch the film again. Yet my stubbornness knows very little bounds so I now more than ever I felt like getting another copy. And this time nothing bad happened and finally was able to watch it. And now I wished I hadn't. Because now I realize that the intoxication during my viewing sessions had warped my thoughts on this film considerably. The first time I saw this movie, I didn't even know that this had something to do with the Crying Freeman. Of course they changed the story quite a bit. But in this case that doesn't matter. The focus of the story here is on the loyalty between the adopted son and the family. His father was very proud and happy with his son and wanted a good life for him outside the gang. But things go wrong. This film has it all. Betrayal, revenge, love, drama and action! For the most part this is a crime/gangster drama with great action. The action consists of gun play and sword fights. These fights are more then excellent. It is a mystery to me why this movie doesn't get the attention it deserves. It is much better than most HK movies they release on DVD's. But that is a general complaint I have. There are a lot of Hong Kong titles out there that would blow your mind, but somehow never got made on DVD. Or at least not made available internationally. Which is strange, because they did import these titles on video. Anyway, this movie is a classic. Simon Yam in a early good role. Brilliant! Settle down younger Chrichton. Killer's Romance is many things but it definitely is not a classic. The action still holds up for sure. But it does take a while for that to happen. And once it does there is not that much of it. Still it has to be said the action is enjoyable. Everything else though is very questionable. I understand what vibe they were going for. They tried to make most events super dramatic. And to an extent it is very effective. However the story and the characterization is completely lacking. Even for a Hong Kong flick it's very minimal. It also has to be stated that the story is only very loosely based on the Crying Freeman manga. So you might recognize some elements but for the most part it has removed THE elements that makes Crying Freeman so compelling. The musical score is filled with themes from Hollywood films mostly composed by Hans Zimmer like Black Rain. I am wondering how they got away by using these. I mean either they have been extremely lucky or either they can't be sued for some reason. Ripped of or not the themes in combination with the vibe is surprisingly effective. Overall Killer's Romance is quite messy and unbalanced. It has huge pacing issues and is an incredibly simple tale that you have seen over and over again. The saving grace is Simon Yam, director Phillip Ko's villainous role and his choreography of the action.